Sealed by the Holy Spirit - What Is the Baptism of the Holy Ghost? If you read the last unit then you already know that there are different types of baptism. We spoke of both water baptism and the baptism of the Holy Ghost. But, let’s just have a little refresher right now. Baptism itself means to be immersed in something. Whatever you are immersed into covers you entirely. With water baptism, the water completely covers your body. Then you are raised up out of the water as a metaphor for your own death to self, and new life in Jesus. Being baptized with the Holy Spirit is very similar, except it is NOT a metaphor. What being baptized in the Holy Ghost means is you are immersed in the Spirit of God. The Spirit of God is also called the Spirit of Christ, the comforter, and so on. He covers you entirely, breathes new life into your soul, which was dead in sins, and the new life you live is no longer yours, it is His. One more thing I want to refresh your memory on is that this happens at the moment of salvation. It is not an event that happens later. 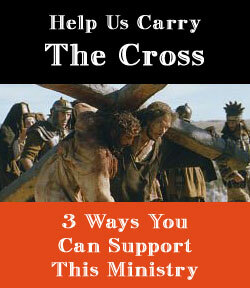 This is because you can not receive Jesus without also receiving His Spirit. The only requirement to receive Him is to repent and be forgiven of sins. Then you are baptized in the name of Jesus. Being baptized in the name of Jesus is a way of saying that you are being immersed in Jesus. In other words, you are immersed (baptized) in the Holy Ghost. When you become immersed in Jesus you are also immersed into the Holy Ghost. This is why the scripture said that you WILL receive the gift of the Holy Ghost. He didn’t add the words, “at some point in the future,” or “after you do such and such.” He said you WILL, when you have repented and been forgiven of your sins, and have Jesus come into your life. It is immediate. Now, since we have just had our refresher let’s go ahead and dive into this a little bit more deeply. Other than being immersed in the Spirit of God what else does this mean for us? Being baptized in something doesn’t just mean it covers you. It means you are literally sealed up in whatever it is. In the case of being baptized with the Holy Spirit, it means you are covered and sealed up in, and by God. But what does being sealed mean? There are a few ways the word “seal” can be used. It can be used to talk about something being shut, or it can mean something more powerful. 8 So she wrote letters in Ahab’s name, and sealed them with his seal, and sent the letters unto the elders and to the nobles that were in his city, dwelling with Naboth. 8 Write ye also for the Jews, as it liketh you, in the king’s name, and seal it with the king’s ring: for the writing which is written in the king’s name, and sealed with the king’s ring, may no man reverse. A seal means something is sealed in, or shut up tightly. You lick an envelope to seal it. You use glue to hold things together, to seal them together. But a seal can also serve another purpose. In days gone by, when a king wanted to send a letter, without anyone else being able to read it, he would roll it up and then drip hot wax onto the edges of the paper. Then the king would place his ring onto the wax. As the wax dried the paper would be sealed together and shut up so that no one could read it without breaking the wax seal. But, since the king’s ring was placed in the wax it left an imprint of his ring. So no one could break the wax seal without destroying the ring imprint. So you would know if it had been opened by a spy. 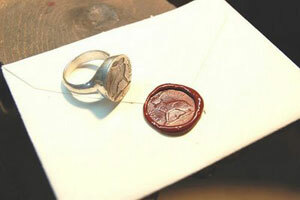 The ring and impression left in the wax itself were often called the seal of the king. The writing and images that were engraved into the ring were also left in the in the wax. That engraving meant one thing in particular. It meant this letter has been sealed by the king because it has his mark, his seal. That means if you are not the one authorized to open it then you pay the penalty for treason. It also served as a mark of ownership. The ring was owned by the king and if you messed with his seal then you were messing with HIM! So when a king places his seal on you, it’s a big deal! 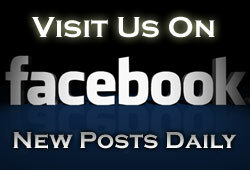 This is why the Bible says we are sealed with the Holy Spirit unto the day of redemption. It means our sins are not only covered by God but we ourselves are held tightly in his hands. We are safe from death and safe from anything that God does not allow to affect us. 28 And I give unto them eternal life; and they shall never perish, neither shall any man pluck them out of my hand. 29 My Father, which gave them me, is greater than all; and no man is able to pluck them out of my Father’s hand. We are also marked with His seal. His stamp of approval is on us when His Holy Spirit rests upon us and in us. That means He owns us. We are His. Without this seal of the Holy Ghost then we are not His. We have a little while before we cover prophecy in our course. But, we are told here that the wrath of God is withheld until all of His servants are sealed (covered and protected). So here we find one thing that the seal of the Holy Spirit protects us from. We are protected from the wrath of God. The Bible also says that we are not appointed unto wrath. 18 Who concerning the truth have erred, saying that the resurrection is past already; and overthrow the faith of some. 19 Nevertheless the foundation of God standeth sure, having this seal, The Lord knoweth them that are his. And, let every one that nameth the name of Christ depart from iniquity. 25 In meekness instructing those that oppose themselves; if God peradventure will give them repentance to the acknowledging of the truth; 26 And that they may recover themselves out of the snare of the devil, who are taken captive by him at his will. We are sealed from being taken captive by Satan. This means a number of things, but one important thing to note is the subject of demonic possession. 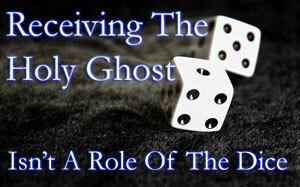 A person sealed with the Holy Ghost can not be possessed by the demonic. Because in order to do so the demon must break through that seal to enter into the person. 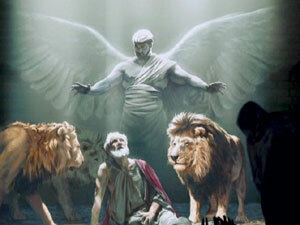 28 But if I cast out devils by the Spirit of God, then the kingdom of God is come unto you. 29 Or else how can one enter into a strong man’s house, and spoil his goods, except he first bind the strong man? and then he will spoil his house. Jesus speaks here of demonic possession. He says that you can not enter a strong man’s house and spoil his goods unless you first bind that strong man. If we are the temple of God (as the Bible says) and if Jesus lives within us then no devil is going to be able to enter His house, bind God, and then possess us. So again, the seal of the Holy Ghost protects us from this. We are protected from being alone. There is a unity in the body of Christ which is called the church. This church is not just the local assembly of believers. It is all Christians everywhere who are united in Christ through the seal of the Holy Ghost. We are protected from what is called the hour of temptation. In a later unit dealing with prophecy, we will explain what this hour of temptation is. But, just to give you a little bit of a teaser I will let you know that it is not the time of the tribulation. In short, this hour of temptation that we are protected from is a time of wrath from God. Which again, we are not appointed to. He is able to protect us from falling. This is because He gives us the power to live according to the spirit and deny the lusts of the flesh. So we do not have to fall as we run this race. Nevertheless, if we do happen to fall by not obeying the Holy Spirit then He is able to pick us back up to continue the race. 26 But the Comforter, which is the Holy Ghost, whom the Father will send in my name, he shall teach you all things, and bring all things to your remembrance, whatsoever I have said unto you. 27 Peace I leave with you, my peace I give unto you: not as the world giveth, give I unto you. Let not your heart be troubled, neither let it be afraid. We are protected from having no comfort of peace. The Bible does say that in this world we will have trouble. But, it also says that even in the middle of the storm we can take cheer knowing that He has overcome this world. While there may be sorrow here, there is also a peace which passes all understanding. It’s a peace of knowing that in the end all of our trouble, fear, sorrow, and pain will be turned into great joy and gladness. These things are called to our memory by the Holy Ghost who teaches us (if we listen) the word of God. He also helps us to apply it to our own lives. In short, this peace is not the same as the peace of the world. The peace of the world requires there to be no trouble, worry, fear, or sorrow. The peace of God requires none of that because it isn’t about those things. It is about understanding that all of those things work together for the good of those who love Him. These are all things that the Holy Spirit protects us from. We are sealed up and away from it all so that nothing can touch us that God does not allow, or that we do not touch ourselves. Of course, this is only the half of what the Holy Spirit does for us. There is so much more! There is power, gifts, understanding, and more that comes with Him. In fact, since the Holy Spirit is God Himself that means everything God has, is and can do is within us when He lives in us. 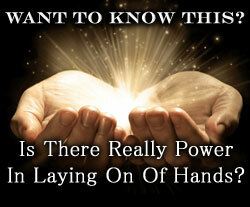 In the next few units, we will be talking about the power, gifts, and so on. There are a lot of lies being taught about Him. In fact, He is one of the most mysterious things for many people in the church. Yet, He is Jesus and God Himself. If you have known one then you have already known all 3. So let’s lay the foundation to know God on a deeper level. What is awesome about all written is how God Almighty shows us and we can see it proof we have the holy spirit God within us. Truly miracles large and small have happened before me. So we look always to see them as we work his will. Could you give your thoughts on Acts 8:12-14? 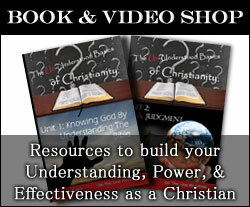 Unit 3 contains a great deal on the subject of salvation and water baptism. You may want to read http://onthelineministries.com/do-you-have-to-be-baptized-to-be-saved/ which explains the difference between water and Holy Ghost baptism. http://onthelineministries.com/christian-receive-holy-spirit/ also goes into deeper detail and speaks on the subject of Acts 8:12-14 dealing with Simon and Philip. Act 2:38 the order is repentance for remission of sins, baptism, then receive the Holy Spirit…so one cannot receive the Holy Spirit until this process takes place correct… repentance+baptism=Holy Spirit? Now, let me clear up the issue with the order of events. The actual order of events is repentance of sins and then baptism with the Holy Spirit. Water baptism is a different type of baptism which can come at any time thereafter. The baptism of the Holy Spirit happens immediately at salvation, which is at repentance.